Asbestos isn't exactly a household word. If you're the owner of an older home, however, it's one that you may want to familiarize yourself with. It's a hazardous material that may be found in the fibres of building materials in older structures. An inspection by a reputable home restoration company may be a good idea, and the safe removal of asbestos in Coquitlam should only be undertaken by a qualified type of service provider. So why was such a dangerous material used in that way? It was identified as having effective fire-retardant properties, and manufacturers had no reason to think poorly of the choice for many years. In the early part of the 70s, the threat was identified and the practice ceased across most of North America. Buildings built before this era may still contain this hazardous material. Home and property owners in Greater Vancouver have local experts, Urban Environmental, at the ready for Coquitlam asbestos abatement. They will get the job done right in every regard, and all materials are disposed of in an environmentally friendly manner. Mold is definitely a sneaky threat. It can be a burgeoning problem in your home that's completely out of sight. Cool, continually damp spots are where it will colonize typically. Urban Environmental has been undertaking the safe removal of mold in Coquitlam for 10-plus years now, and they provide both inspection and removal / remediation services. This is not a matter to be taken lightly, and speedy, decisive intervention is always the best course of action. Your remediation techs won't overlook any step in the process and they also take specific measures to eliminate the infestation completely. You may also be appraised of specific characteristics your home that may need continuing attention in the future. Don't hesitate. Make the call and have Urban Environmental on site for expert Coquitlam mold remediation. Need It Clean, Need It Done Now! For most homeowners, there's going to be a real urgency to these types of issues. That will likely apply to any type of home remediation job. Whatever it is, Urban Environmental has what it takes to take care of you right. 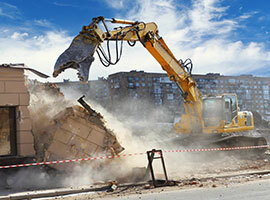 They're renowned for any type of Coquitlam property restoration project, including vermiculite removal, insulation installation or removal, grow-op testing, crime scene clean-up, and bio-hazard cleanup. Trust it to a professional. You'll be glad you did.